Or click on the image below for a printable brochure of available services that also contains a form for arranging possible speaking engagements. The South Texas Inventors Group has invited Iris Karas to speak about her experiences self-publishing her first novel Organizing Elizabeth, published in 2007. Please email the publisher for contact information for this members only event. 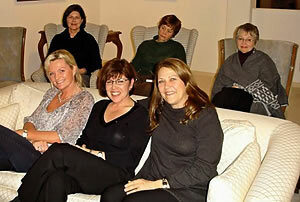 The Neighbors Book Club in Santa Anna, CA has invited Iris Karas to read from her first novel Organizing Elizabeth, published in 2007, at this members only meeting. Iris Karas author of a debut novel Organizing Elizabeth will have a table at this event and will be selling signed copies of her book and donating part of the proceeds to the CBI Sisterhood. Please come to this wonderful event and meet Iris Karas. Please email the publisher with any questions regarding this event. Iris Karas author of her debut mystery/romance novel Organizing Elizabeth will read from her novel and be available for questions and signing copies and at the Carleton College Bookstore in Northfield, MN. Please mark your calendar. She would love to see you there. Iris Karas independently published her debut novel Organizing Elizabeth in Longmeadow, Massachusetts and will return to the scene of the crime for a reading and signing at the Longmeadow Public Library. Please mark your calendar. She would love to see you there. CLICK HERE, to download a printable flyer for this event, including directions. Iris Karas has been invited to read from her first novel Organizing Elizabeth, published in 2007 at the members only kickoff party for the Congregation Beth Israel Sisterhood to be held at Pilar, a specialty store carrying fine merchandise from around the world and located at 32 Lamar Park, Corpus Christi, TX. 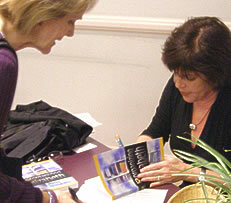 'Tuesday with Story' a book club in Corpus Christi, TX has invited Iris Karas to read from her first novel Organizing Elizabeth, published in 2007, at this members only meeting. 'Las Novelistas' a book club in Corpus Christi, TX has invited Iris Karas to read from her first novel Organizing Elizabeth, published in 2007, at this members only meeting.